My Sister is a HUGE WWE fan. With her birthday coming up next month, I am excited that Kmart is your WWE head quarters!! I wish I could have sent her to see Wrestle Mania, but she did watch it on Pay Per View!! Maybe next year. If you have a wrestling fan in your family, check out Kmart's terrific selection of fan gear!! Just please don't use the chair on anyone's head!!! Oh and by the way, I can smell what the Rock is cooking!! Can you? 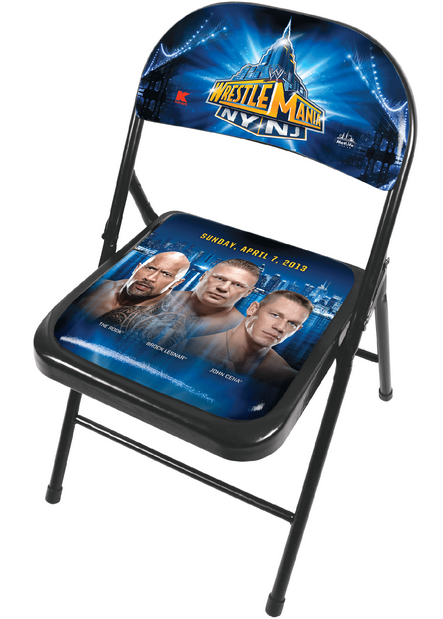 Thanks to Kmart, WWE Fan Central!